The Division of Student Life provides resources, skills and experiences to foster the development of the whole student in preparation for a life of learning, effective leadership and civic engagement. Rhodes provides endless opportunities for students to contribute, create, and lead. Whether serving on the Honor Council, organizing a community service initiative, participating in athletics or the fine arts, or bringing new ideas and energy to a student club or organization, our students define and enhance their experiences here. We are also here to provide support for a variety of student concerns, including illness, death in the immediate family, academic challenges, and other personal emergencies. Feel free to stop by our office in Burrow Hall fourth floor or call us at 901-843-3885. Rhodes is deeply committed to a residential experience that builds community and strengthens our connections to one another. Living with your peers offers daily opportunities for discussion, involvement, and leadership outside the classroom. Rhodes seeks to help students succeed in their time here through a variety of personal, professional, and academic support programs. We work to make Rhodes a supportive and caring place for you to develop socially and intellectually. 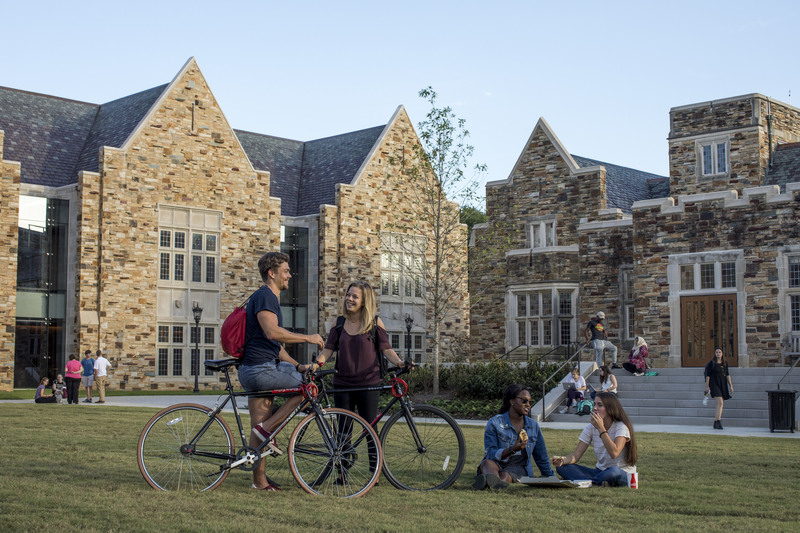 Whether you're looking to expand your horizons or connect with an already familiar interest, hobby, or sport, Rhodes offers an amazing breadth of opportunities to engage with others around experiences outside the classroom.